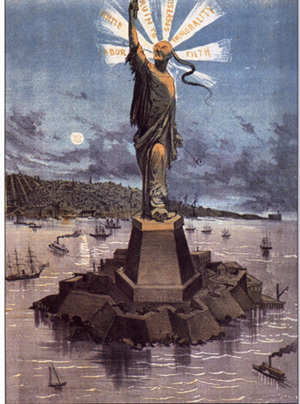 1) The first feature examines a little-known aspect of American immigration history — specifically, the story behind the Statue of Liberty and how it cam e to symbolize America’s tradition of welcoming immigrants. 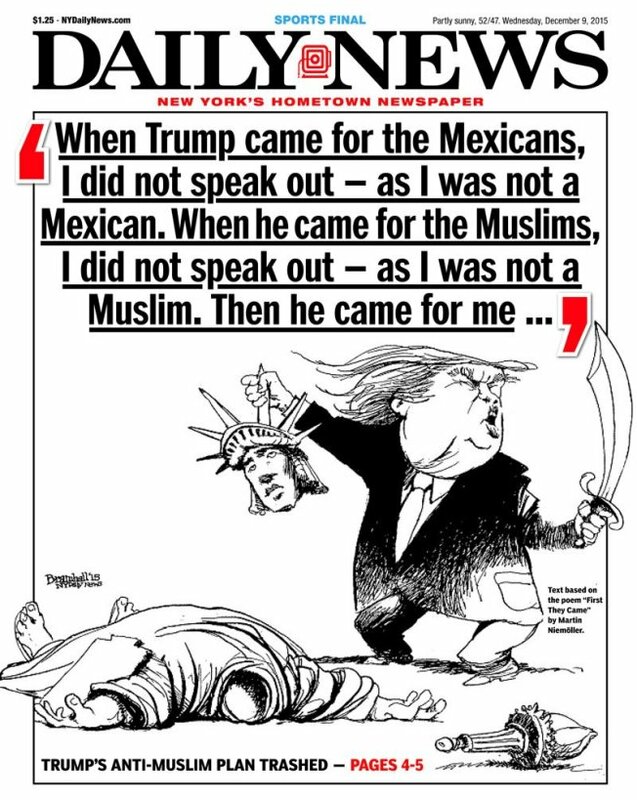 2) Next, I have a conversation with historian Vincent Cannato, author of , American Passage: The History of Ellis Island, about why immigration is now – and seemingly always has been – a hot-button political issue. 3) From there we turn to The History Skinny, the segment where historian Stephanie Yuhl and I examine how history has made the headlines in recent days. This week we look at stories involving the controversy over a children’s book about one of George Washington’s slaves, the decision of Amherst College to drop its mascot, “Lord Jeff,” and Hillary Clinton’s alarming explanation of Reconstruction. 4) Mercy Street Rewind: Historian Megan Kate Nelson drops in for her weekly review of PBS’s historical drama, “Mercy Street,” We call this segment, Mercy Street Rewind. This week, we talk about season 1, episode 2. PLEASE NOTE: to avoid dropping spoilers on unsuspecting listeners, this Mercy Street Rewind feature appears as a separate segment. You’ll find it listed as MSR S1Ep02 in your iTunes cue, right after the In the Past Lane Episode 002. See below for episode credits, links to readings, and more. 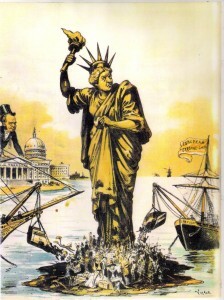 “Dumping European Garbage” (Judge magazine, 1890) was typical of the nativist cartoons ca. 1880-1920 that used the image of Lady Liberty to condemn immigration. Edward Berenson, The Statue of Liberty: A Transatlantic Story (Yale, 2012). 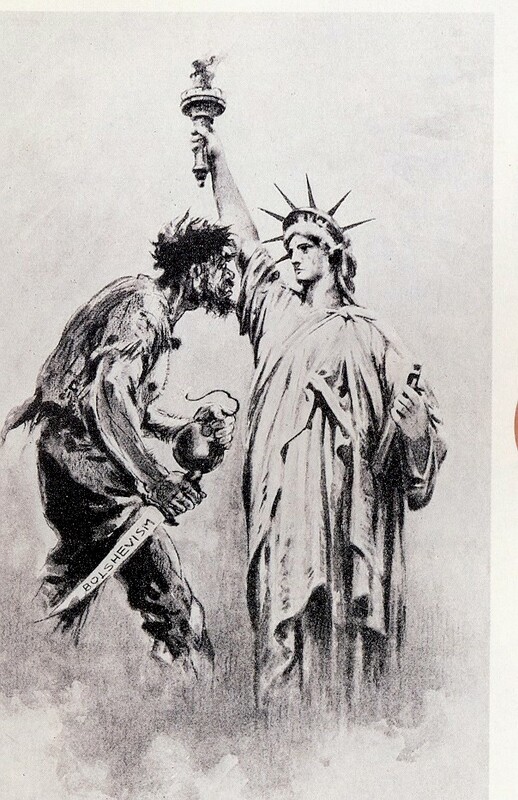 John Higham, “The Transformation of the Statue of Liberty,” in John Higham, Send These to Me: Immigrants in Urban America (Johns Hopkins, 1984). Yasmin Sabina Khan, Enlightening the World: The Creation of the Statue of Liberty (Cornell, 2010). The New York Times, October 28, 1886. 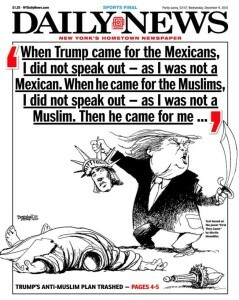 This cartoonist used the State of Liberty to highlight the argue that Chinese immigrants threatened the nation.